Joel Green, Conversion in Luke-Acts: Divine Action, Human Cognition, and the People of God (Baker, Dec, 2015). Green is an expert on Luke-Acts and has also spent the last several years linking Scripture and theology to insights from neuroscience. This should be an interdisciplinary feast! Stanley E. Porter. John, His Gospel, and Jesus: In Pursuit of the Johannine Voice. (Eerdmans, Oct 2015). David E. Garland. 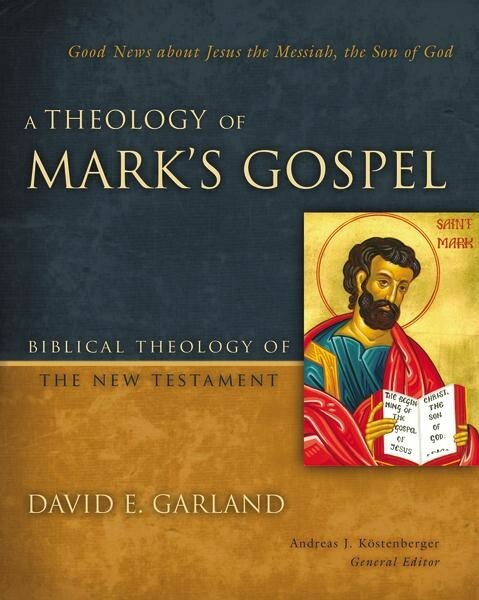 A Theology of Mark’s Gospel (Zondervan, Oct, 2015). Garland is an exceptional commentary writer and interpreter of Scripture. This will cull his theological insights from many years of study of this gospel. Jeffrey Siker. Jesus, Sin and Perfection in Early Christianity (Cambridge UP, Sept 2015). An historical treatment of how early Christians came to perceive Jesus as sinless. Fleming Routledge, The Crucifixion: Understanding the Death of Jesus (Eerdmans, Sept 2015). I have never read anything by Routledge; but this might be my first. Stephen I. Wright. Jesus the Storyteller (WJK Sept 2015). Wright is a noted expert on the parables. This book focuses on why he told stories and how this contributed to Jesus’ ministry. Richard Bauckham. Gospel of Glory: Major Themes in Johannine Theology. (Baker, Aug 2015). This, combined with Thompson’s new commentary, makes for a big fall for Johannine studies! Wow really does look interesting!